Whether you are ready to buy or sell a house in Summerlin, knowing the local real estate market can be a true advantage. While the median price range in Las Vegas just hit $250,000, in Summerlin it’s just over $350,000 and each village and subdivision varies as well. If you have a house to sell in Summerlin, Call us (Lori Ballen Team) at 702-604-7739 (or text), or email us. You might also enjoy using the online home value calculator that provides an instant (although not official) estimate. Homes in Summerlin for the first 1/2 of 2017 sold for about $175 a square foot. The demand for homes in Summerlin, especially in the median price ranges are very high. It’s a market again with multiple offers. Provided the home is priced right, shows well, and showing is made easy, a property could sell in days. –>> What’s Your Home Worth? Find Out an estimated value in just a few seconds.  Listings and Sales in Summerlin first 1/2 of 2017. Community Name is one of ‘Summerlin’, ‘Summerlin Hills’, ‘Summerlin North’, ‘Summerlin South’, ‘Summerlin West’. Stats are for single family only unless condo/townhome is specifically mentioned. The higher list to close price ratio is indicitave of a sellers market. Homes that are priced right, and are in the median price ranges are receiving multiple offers and selling quickly. It’s a good time to sell. Buyers are encouraged to work with a full time, active real estate agent that can help educate them on the market and what may happen in a multiple offer situation. As shown in the graph, days on market are decreasing. Inventory is shrinking and demand is high. Recent Sales by subdivision plus community. Click on the subdivision link to see active home listings in that neighborhood. Ready to sell a House in Summerlin? 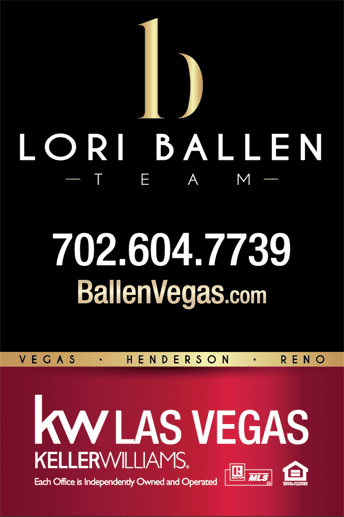 Lori Ballen Team lives, works, and plays in Summerlin and is ready to get yours sold FAST and for TOP DOLLAR! Call or Text 702-604-7739 or email us to schedule a time to meet or to answer your questions.